JMS short for Java Message Service provides a mechanism for integrating applications in a loosely coupled, flexible manner. JMS delivers data asynchronously across applications on a store and forward basis. Applications communicate through MOM(Message Oriented Middleware) which acts as an intermediary without communicating directly. Administered objects: Preconfigured JMS objects created by an administrator for the use of clients. 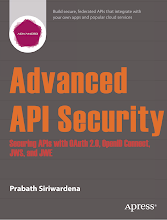 There are several JMS providers available like Apache ActiveMQ and OpenMQ. 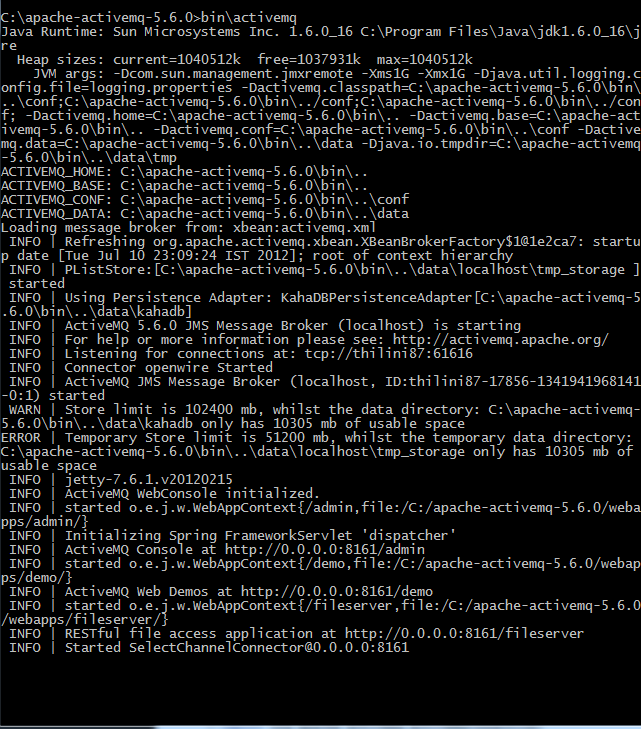 Here I have used Apache ActiveMQ. JMS has two messaging models, point to point messaging model and publisher subscriber messaging model. Producer sends the message to a specified queue within JMS provider and the only one of the consumers who listening to that queue receives that message. Example 1 and example 2 are almost similar the only difference is example 1 creates queues within the program and the example 2 uses jndi.properties file for naming look ups and creating queues. // Here we are sending the message! // Here we receive the message. // for a message to arrive on the queue. Publisher publishes the message to a specified topic within JMS provider and all the subscribers who subscribed for that topic receive the message. Note that only the active subscribers receive the message. * listener's onMessage method, which acts on the contents of the message. 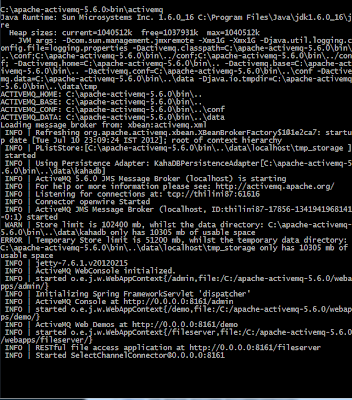 Apache Thrift is a RPC framework founded by facebook and now it is an Apache project. Thrift lets you define data types and service interfaces in a language neutral definition file. That definition file is used as the input for the compiler to generate code for building RPC clients and servers that communicate over different programming languages. You can refer Thrift white paper also. Installation Thrift can be a tiresome process. But for windows the compiler is available as a prebuilt exe. Download thrift.exe and add it into your environment variables. Writing the Thrift definition file becomes really easy once you get used to it. I found this tutorial quite useful to begin with. To compile the .thrift file use the following command. Service handler class is required to implement the AdditionService.Iface interface. 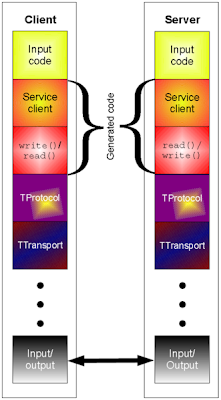 Following is an example code to initiate a simple thrift server. To enable the multithreaded server uncomment the commented parts of the example code. Following is an example java client code which consumes the service provided by AdditionService. Run the server code(MyServer.java). It should output following and will listen to the requests. Then run the client code(AdditionClient.java). It should output following.